Welcome to Our Store! We are so excited that you have decided to purchase your Soy Candles from us!!! Welcome your friends and family into your home as the glow and scent of our candles will fill your home. Hello & Thank you for Choosing us! 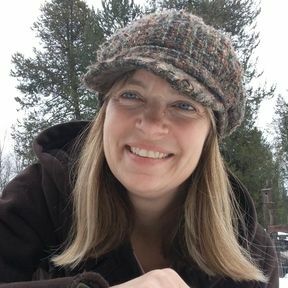 I am Krista and wild about Candles! I am the Owner and Creator of Pauper's Candle Company. I have been making candles for 15 years and still love them. I am thrilled that you have decided to bring our candles and air fresheners into your home. Have fun picking your favorite candle scent and enjoy the flicker of the flame, the wonderful aroma, with a good book and a cup of coffee. I do! Thank you for choosing Pauper's Candle Company as your source for soy candles! When you are ready for another candle, we are here to fill your need. 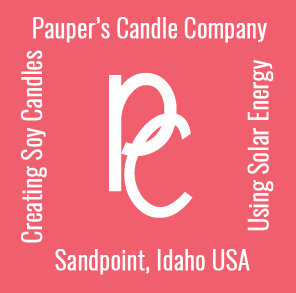 Pauper's Candle Company is a home-based business located in Sandpoint, Idaho. We are off grid and power our business with the Solar Power we generate ourselves. We have two retailers located in Sandpoint and one retailer located in near by Bonners Ferry, Idaho, where you can purchase our candles, if you are in the area. We invite you to see what Pauper's Candles is up to and life on our off grid homestead. Connect with us!